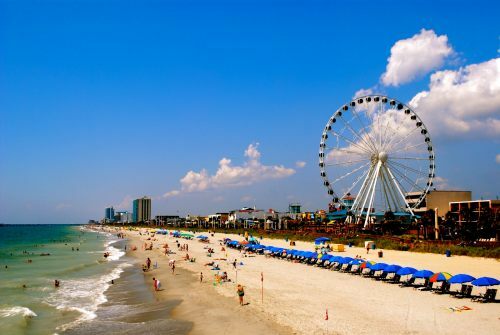 Spirit Airlines is showing airfares from Niagara Falls (IAG) to Myrtle Beach, South Carolina in late February and early March for $98 CAD roundtrip including taxes. Be aware that Spirit's fares only include a personal item, and they charge extra for *everything*. Their model is similar to what you see when flying the low-cost carriers within Europe. 3. Click through from Momondo to JustFly. When you get to JustFly, deselect the $20 'Extended Cancellation Policy' to bring the price down to $98. flight deals, united states, niagara falls, iag, spirit airlines, myrtle beach, south carolina, myr and north america.